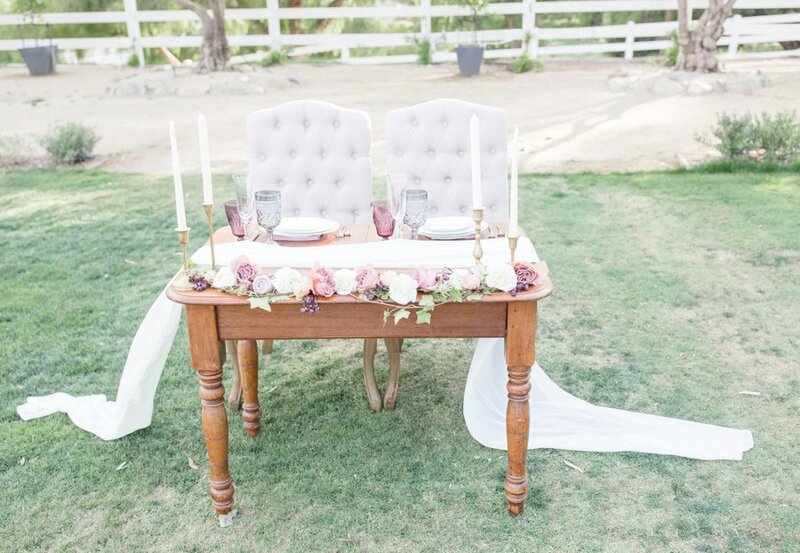 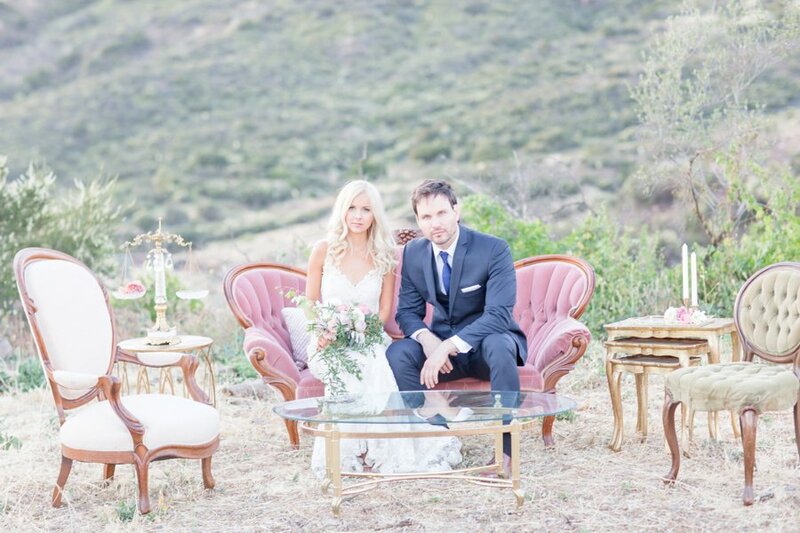 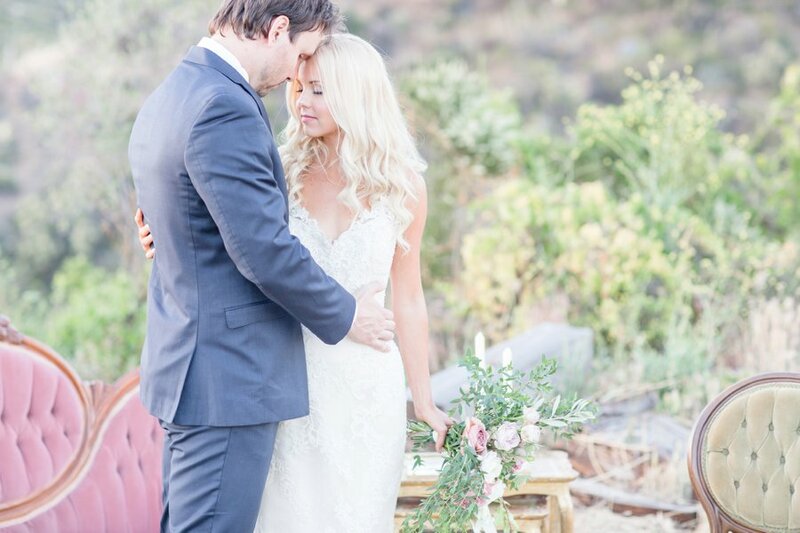 The romance of an al fresco evening under the stars at Brookview Ranch nestled in the Malibu mountains sounds like the perfect setting for a summer celebration. 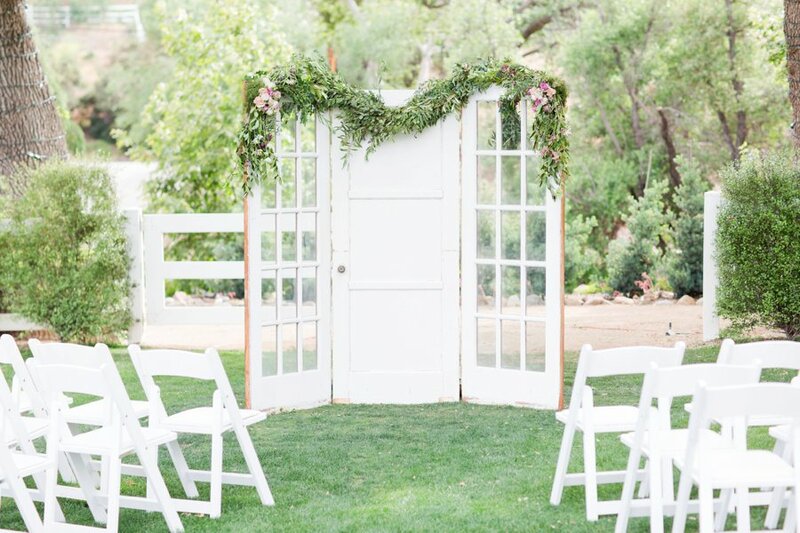 CMG Weddings & Events created this romantic Southern California wedding design, and we love how versatile the space is, featuring mountain views, a canopy of trees, and of course, the beautiful barn and ranch backdrops. 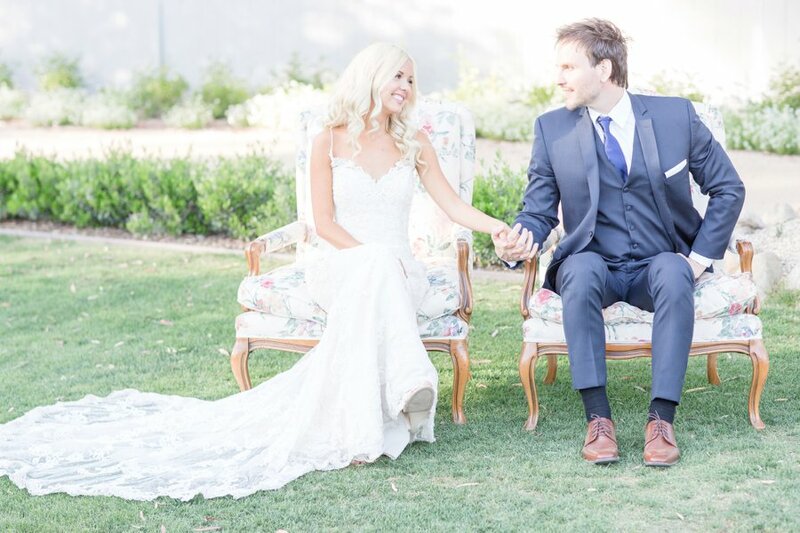 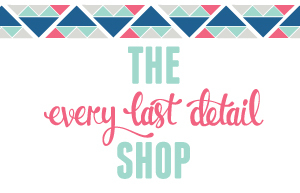 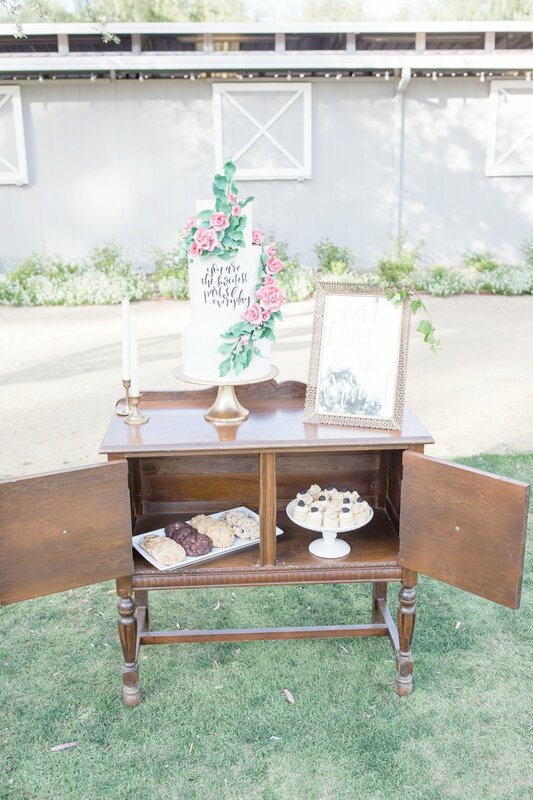 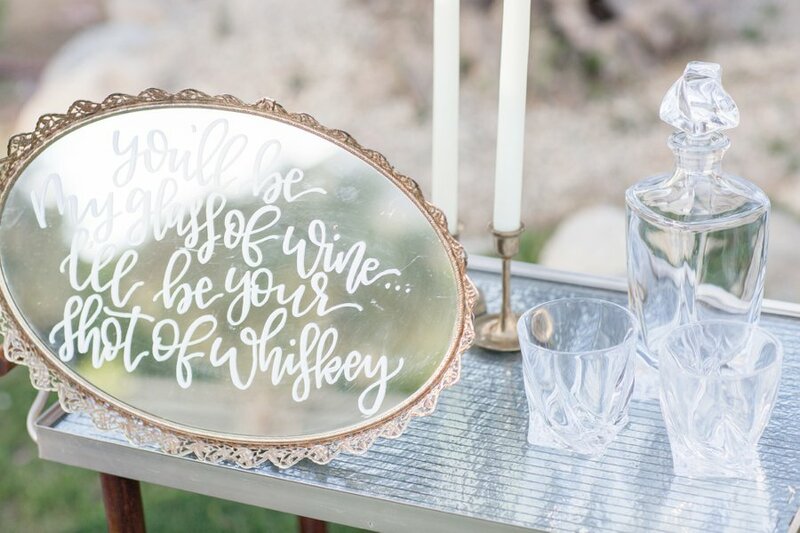 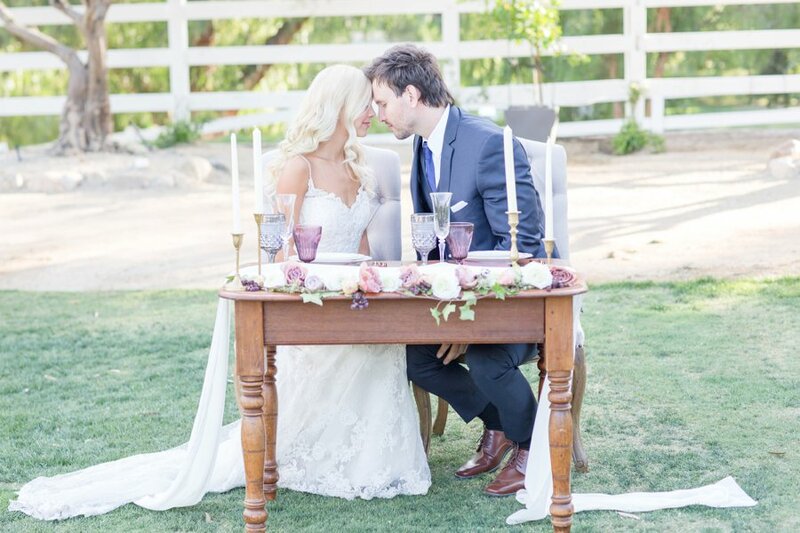 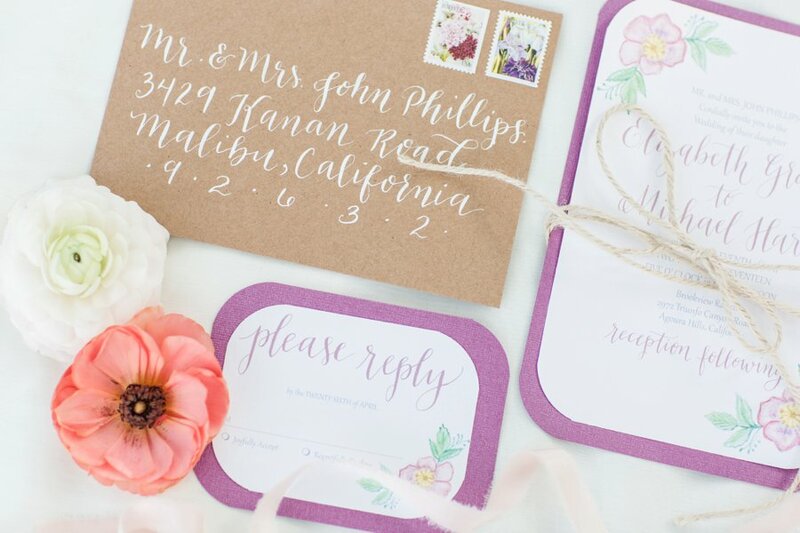 This team pulled off a romantic look with vintage touches and calligraphy details. 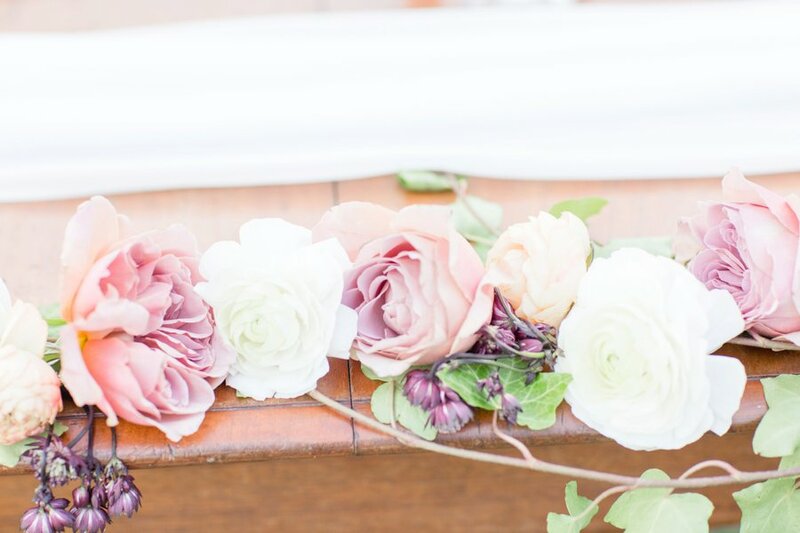 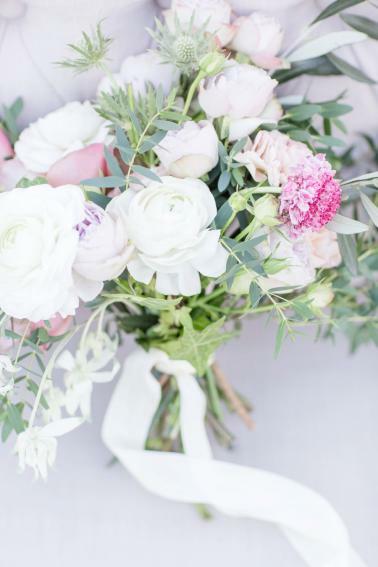 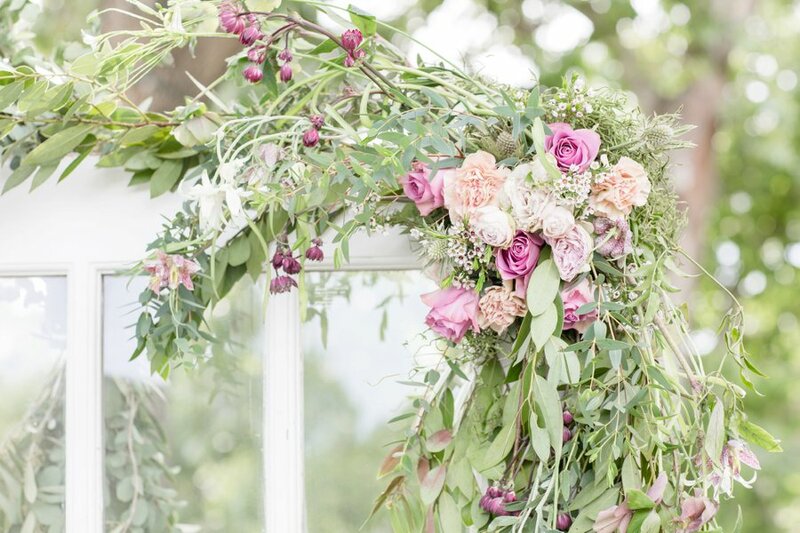 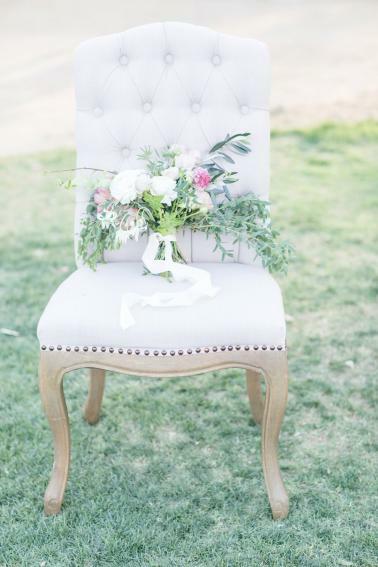 Using a color palette of soft lavender and blush, and beautiful organic floral designs created by La Rosa Que Crecio Floral, they created a dreamy, relaxed feel with their overall design. 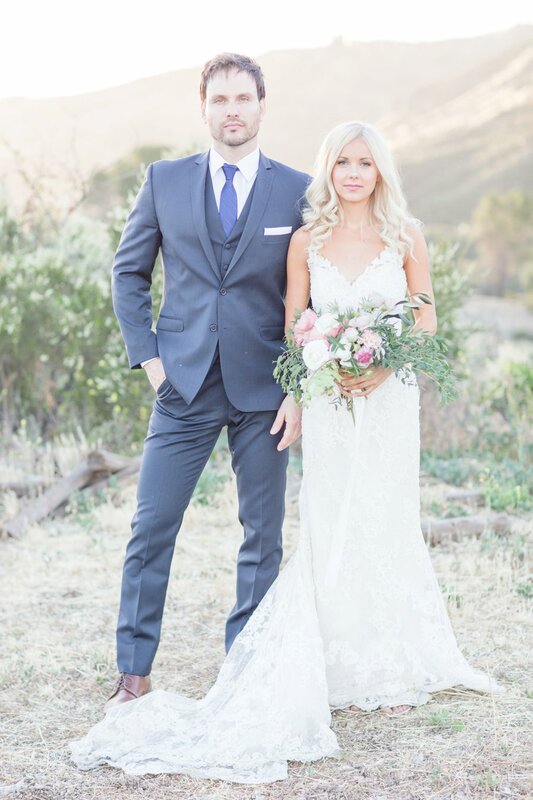 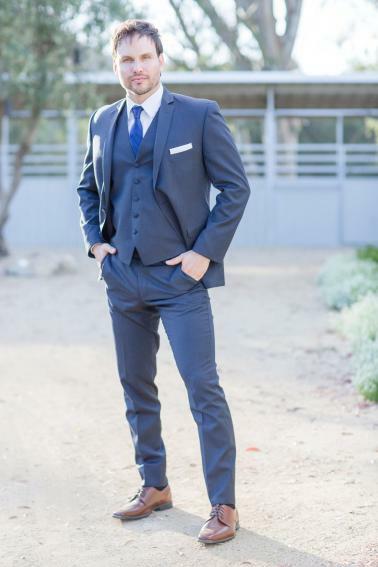 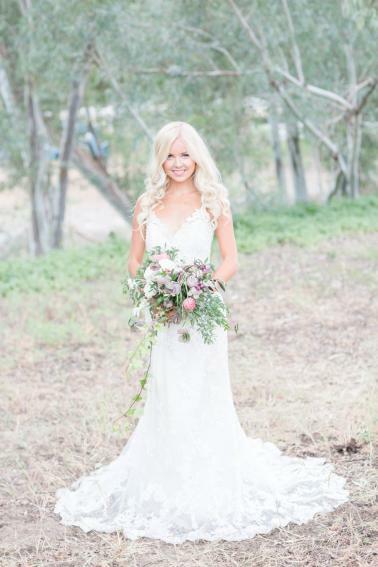 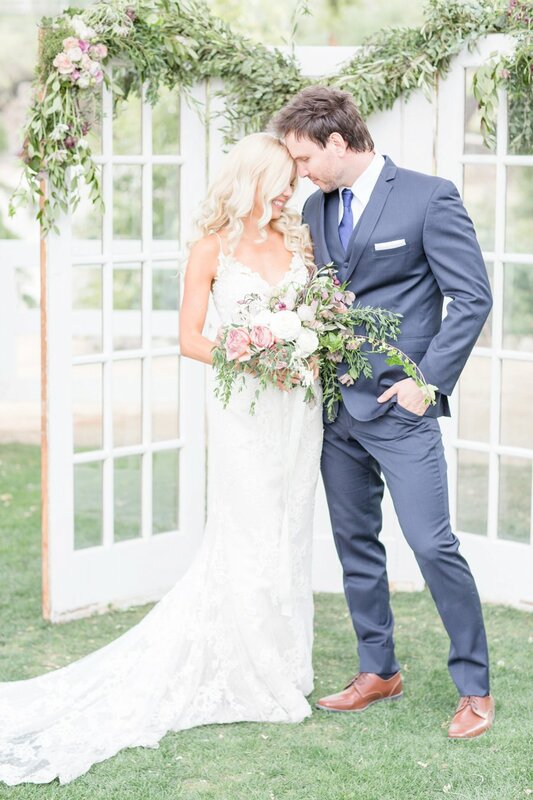 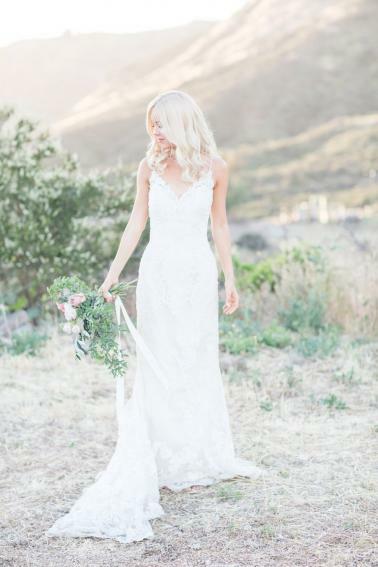 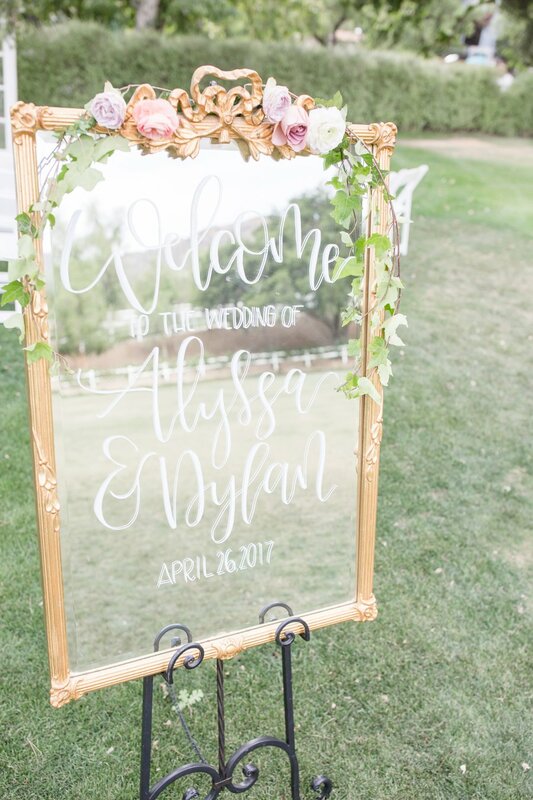 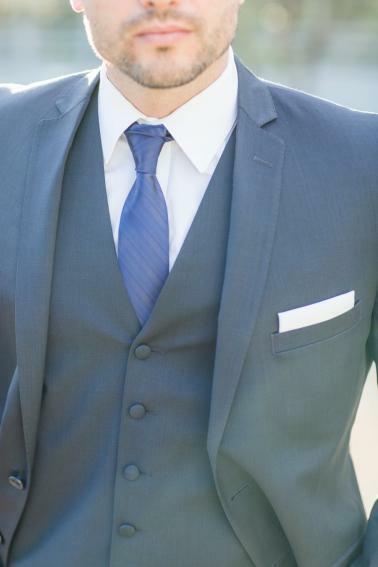 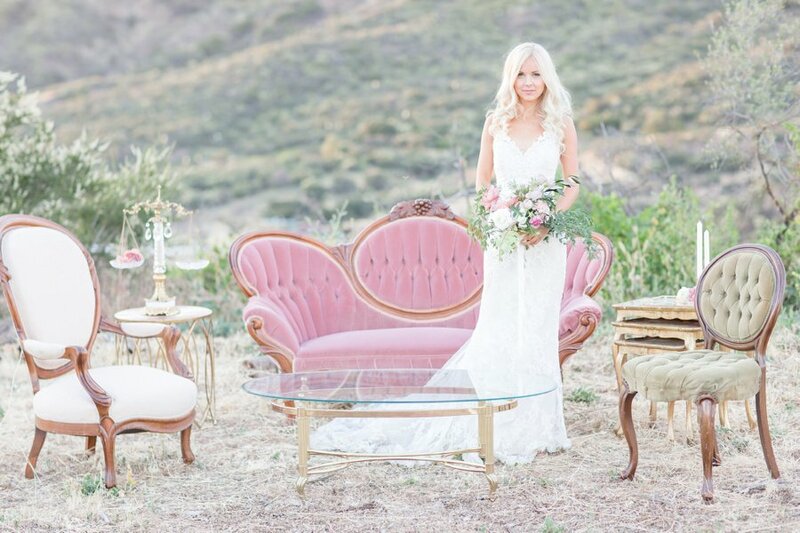 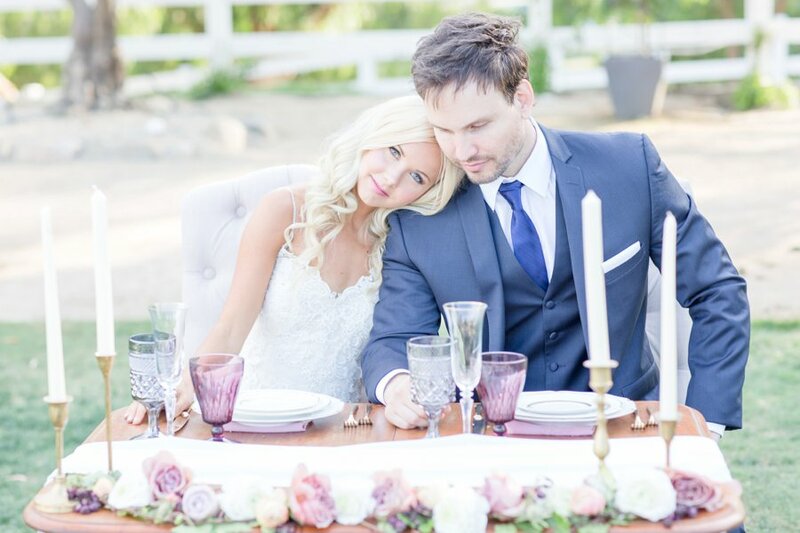 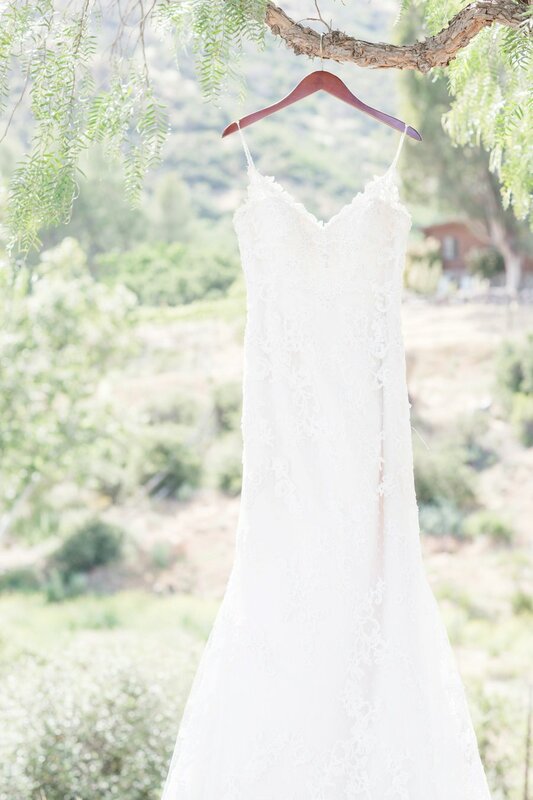 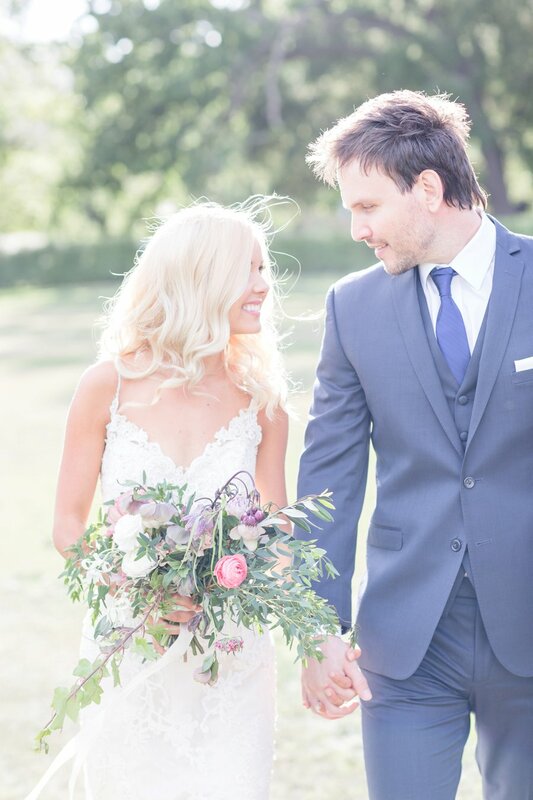 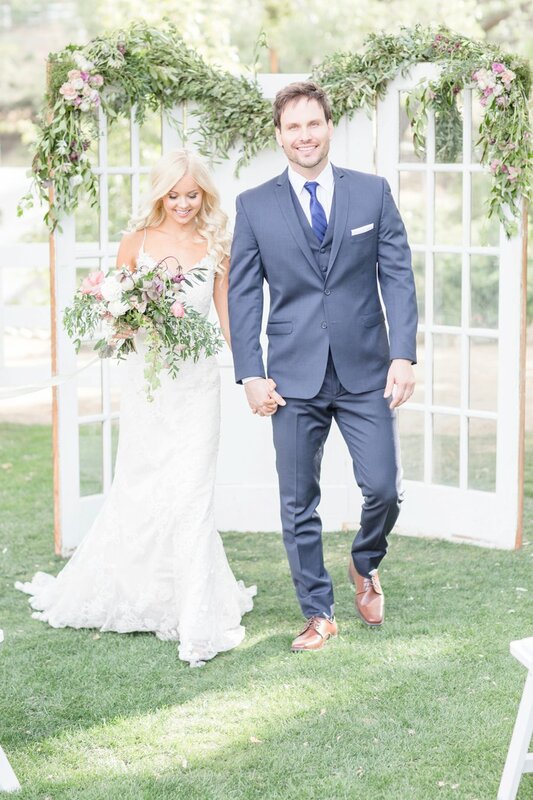 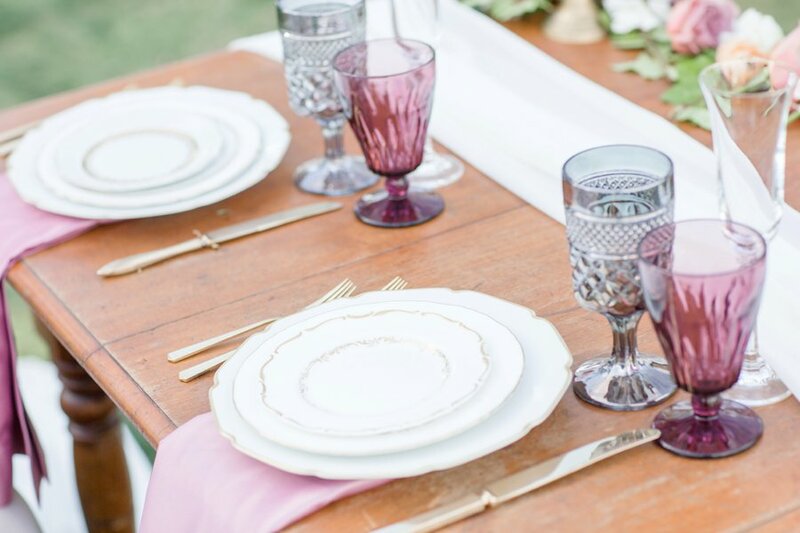 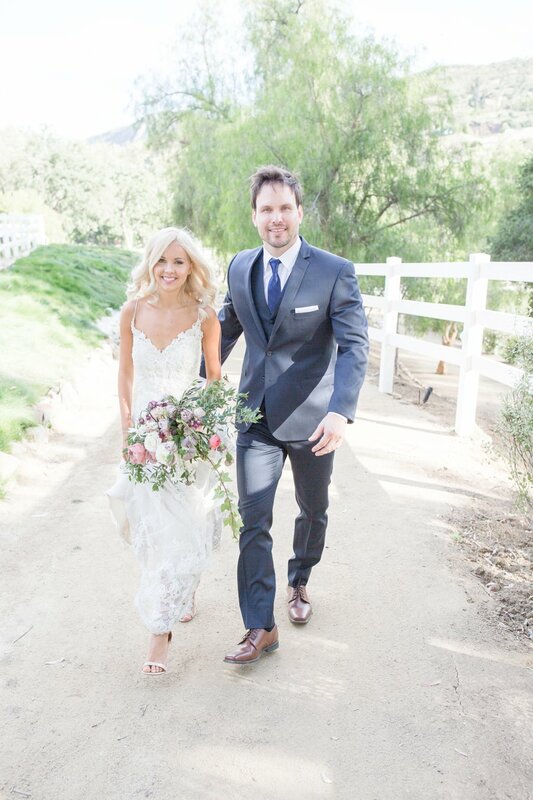 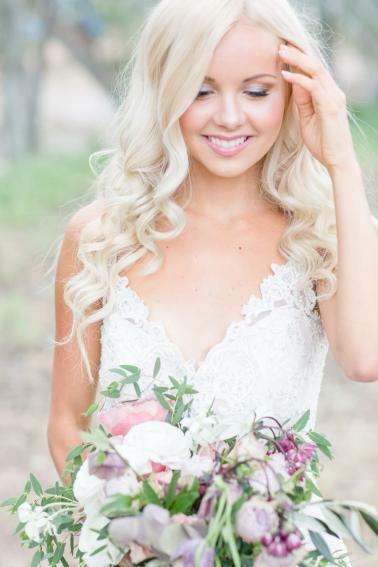 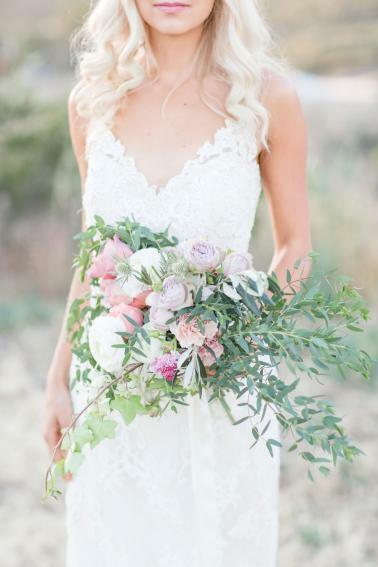 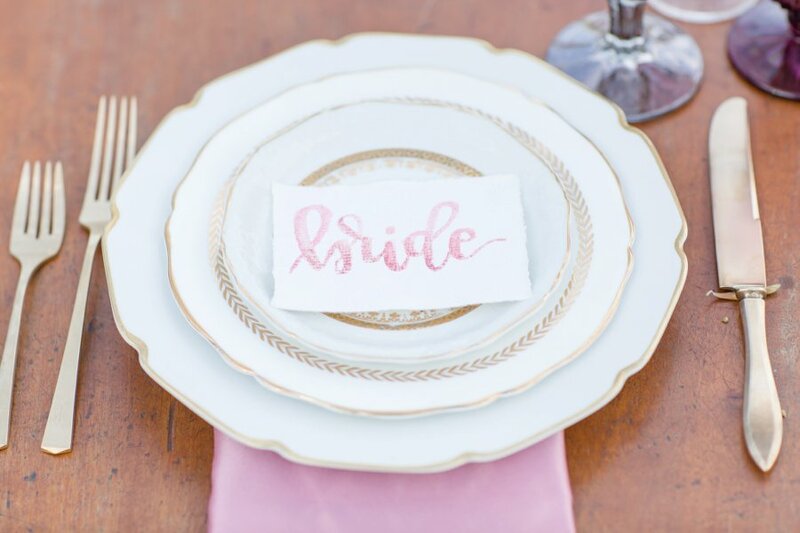 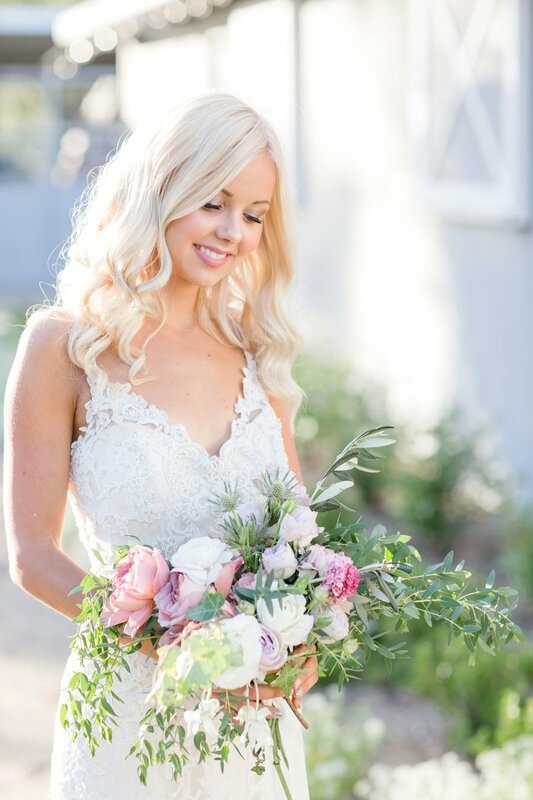 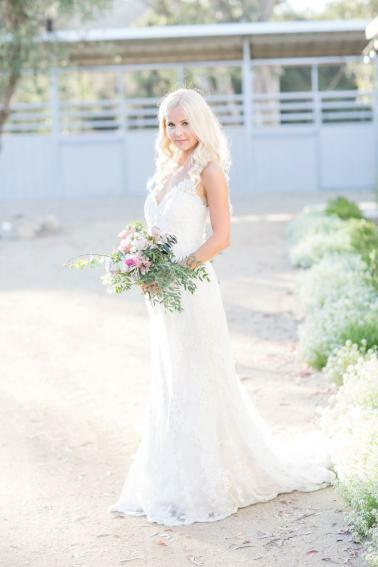 Jess Lauren Photo brought the look to life with bright and airy images, and we can’t wait for you to see this beautiful inspiration! 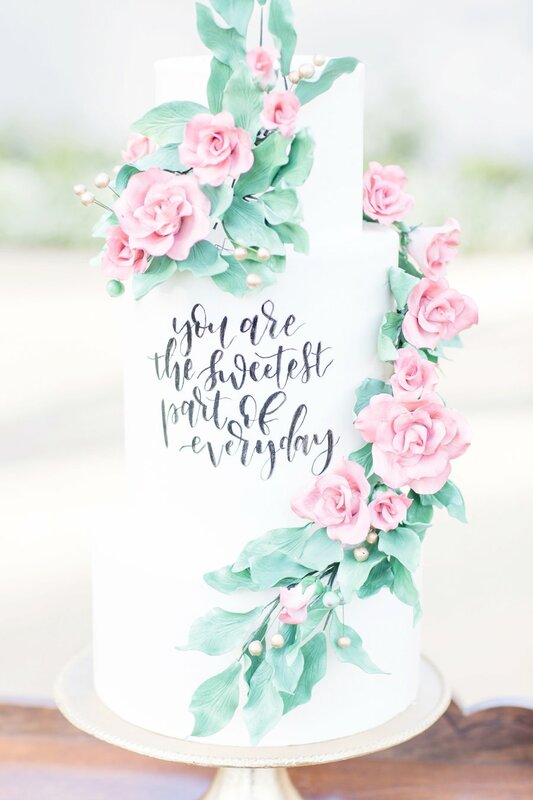 A favorite detail of ours has to be the gorgeous cake with calligraphy detailing and pink sugar flowers cascading down the side. 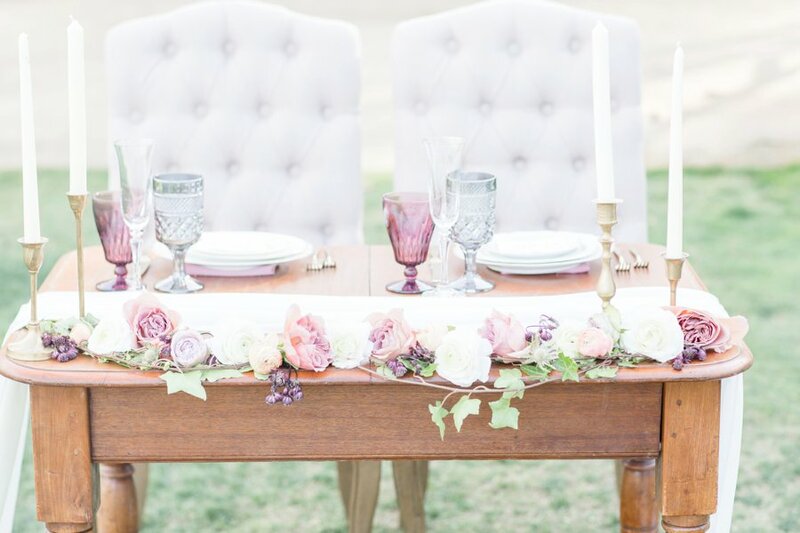 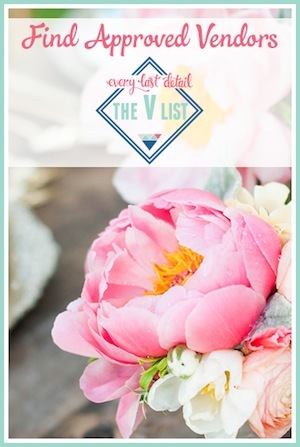 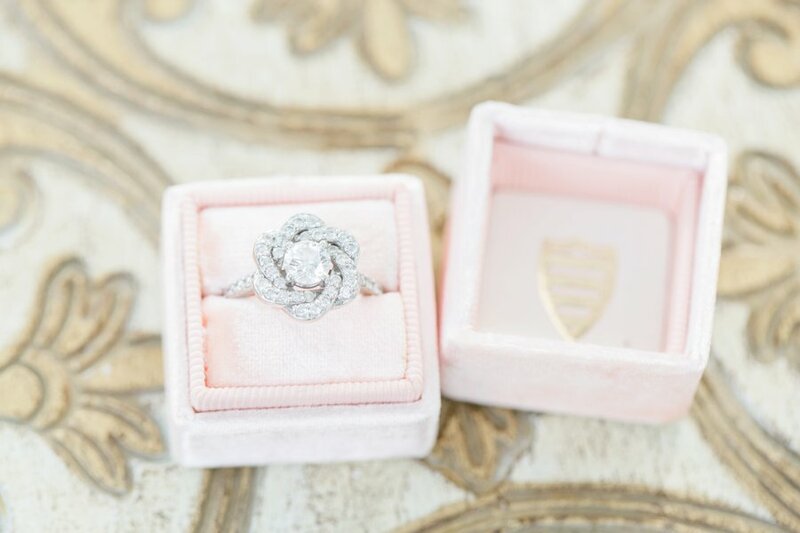 What a beautiful way to tie in some of the romantic details from the day.